If you took the last five months in isolation, removing Hathurusingha from the national set-up would seem a perfectly reasonable solution, right? Sri Lanka’s only win since September, after all, was in a dead-rubber ODI against a weakened England. 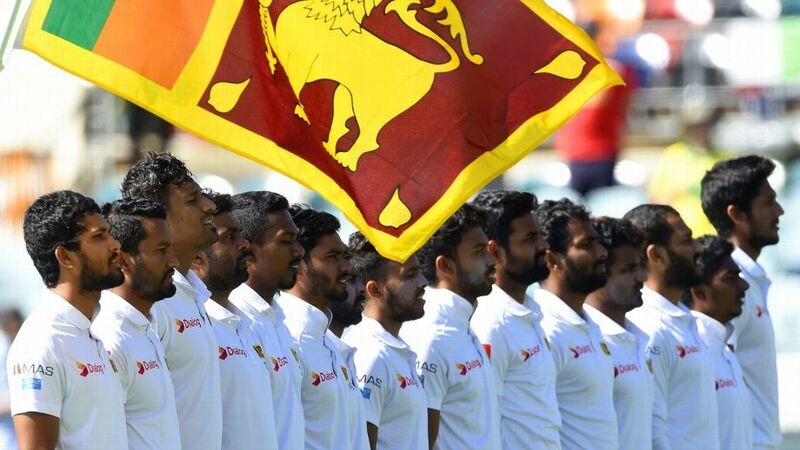 In the 2-0 Test shellacking they have just suffered in Australia, only Suranga Lakmal out of the entire squad can claim to have had a decent series. The record under Hathurusingha is atrocious. But hang on. Was it not arguably worse under his predecessor Nic Pothas? Sri Lanka lost a series to Zimbabwe for the first time ever, on Pothas’ watch. They were then pummeled 3-0 by India at home, and would go on to lose an ODI series 5-0 to Pakistan. Or what about Graham Ford, before that, whose Sri Lanka team lost a home Test to Bangladesh for the first time, before going on to endure a poor Champions Trophy campaign just before Ford was elbowed out of the job. Or Ford’s predecessor, Marvan Atapattu, who had himself been removed from the position long before the expiration of his contract, on account of dwindling performances in 2015. Or could more foundational problems be laying to waste the island’s cricket? Across the two Tests in Australia, captain Dinesh Chandimal produced 24 runs, only once making it out of single figures. According to selectors, he had insisted on batting at No. 3 despite their belief that No. 5 or No. 6 was a better fit for his technique. In general, Chandimal’s Test form has been poor in the past few months, with only one fifty in the last five Tests. But, perhaps more importantly, the team has been losing. Sri Lanka’s best Test results in 2018 – the win in Barbados, and the 2-0 drubbing of South Africa at home – had both been achieved when he had been out of the side. So now, there are rumours that Chandimal will be left out of Sri Lanka’s squad for the South Africa Test series. That Dimuth Karunaratne will lead the side instead. But then what about Chandimal’s predecessor, Angelo Mathews, who had led the team to a 3-0 loss in the previous Test series in South Africa. What about Mathews, whose own batting form declined sharply after Kumar Sangakkaraand Mahela Jayawardene ceased to bat above him? Rumours suggest Chandika Hathurusingha and Dinesh Chandimal could lose their jobs Getty Images….. OPA DUPA !! Or could it be that the strain of leading Sri Lanka – a team with quicks that break down if you sneeze on them, that hasn’t had a consistent top five in years, whose young players routinely complain that the domestic game does not adequately prepare them for international cricket – has worn them down? To illustrate just how broken Sri Lanka’s domestic system is, take the ongoing season of the Premier League. Following the first two rounds, which were predictably dominated by spinners running through oppositions on dustbowls, the national selectors made a request. They asked curators to ensure they retained three to seven millimetres of grass on every first-class pitch in the hope there would be assistance for the island’s quicks. The practice of a spinner opening the bowling at either end would cease, they anticipated. It is possible that following many years of first-class decline, curators at that level no longer have the knowledge or skill to produce the kinds of pitches the selectors wanted. Just as in the previous four seasons, each of the Premier League’s top wicket-takers (Tier A) are spinners. This year, because Lakshan Sandakan has been on national duty, each of the top ten are finger spinners. Sri Lanka has a domestic system with far too many teams, profoundly diluting quality. They play on pitches where quicks are almost totally superfluous, and have no history of bowling 20 overs a day, as you must do in Tests. Batsmen rarely contend with the kind of bounce and seam movement they have encountered in Australia and New Zealand. Yet, when the team loses overseas, it is the coach and the captain who come under the microscope. When quicks succumb to injury en masse, people wonder what the national team’s trainer is doing. Sports minister Harin Fernando flew himself to Canberra last week (using his own funds, to his credit), to meet the team, and presumably glean information on what may be done to arrest Sri Lanka’s slump. In this particularly bleak moment in what has been a four-year low ebb, it is Fernando who is shaping to make the big moves. If his focus is on swapping out coaches, and influencing team selection (which he has the official power to do, under Sri Lankan law), he is misguided. If he once again attempts a top-down solution to the problem instead of bringing about a bottom-up grassroots reformation, he will be like virtually every other cricket administrator in the past decade, who have collectively inflicted 11 head coaches upon Sri Lanka in the last nine years, as well as a slew of Test and ODI captains.